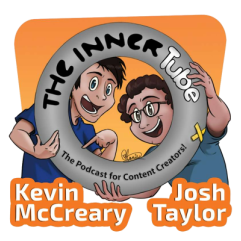 124: Talking about All of the Comic-Con Trailers! We talk about all of the new trailers that were released at Comic-Con 2016! 122: I Have a $2,000 Budget. What Should I Buy? This week, what camera should you get if you have a $2,000 budget and are you a jerk if you don't support someone's Patreon.